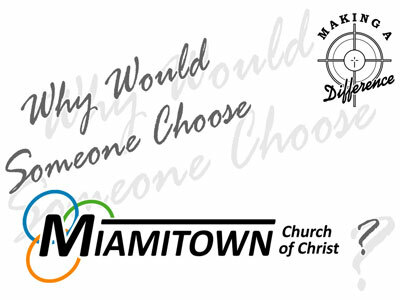 Home Sermons 2016 Sermons Why Would Someone Choose MCC? The subjects of this series are based on consistent comments we receive from guests and new members. Comments about what they find exciting and attractive about our church. Sometimes we get accustom to “life at MCC” and forget how God has blessed us here. A reminder of what we have to offer our friends, family, co-workers, neighbors, etc. that don’t currently have a church home can be a healthy subject. The idea and the invention of “church” was God’s idea. If “the church” is from God, then it should be something that we can be excited about, something that we should enjoy, something that we find uplifting, and it would be valuable to know why our specific church does just that!